Before Tuesday’s primary election, the message from Texas Democrats was that they had a bigger early voting turnout than Texas Republicans. James Dickey, state party chair for the Republican Party of Texas, said while that is true, overall primary voting totals for Democrats were lower than Republican voters. Republicans ultimately outpaced Democrats in total primary votes by over a half million votes. 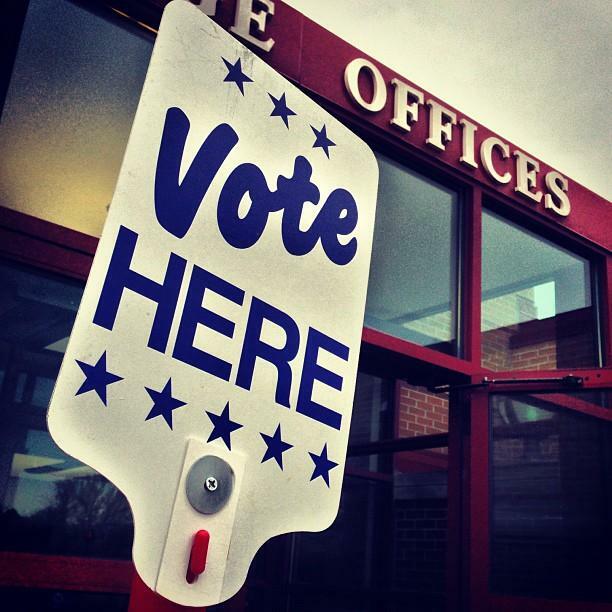 “Republicans set a record for most primary vote turnout in a Texas primary. On the Democrat side, they managed to move some of the general election voters to primary voters. We’re not taking that lightly,” Dickey said. Brandon Rottinghaus, political science professor with the University of Houston, said a party’s ability to increase its voting base during a midterm primary election, where turnout has been historically low, should be considered a major accomplishment. “I think the party can take some solace in the fact that, although they are outvoted by Republicans, they’ve definitely increased the size of their base, and that’s the biggest hurdle in a midterm election,” Rottinghaus said. But Rottinghaus added while Democrats did increase their overall turnout, voters will still need to decide who leads the party and what direction it is headed. Some of the candidates vying for the party’s nomination, like Democratic gubernatorial candidates Lupe Valdez and Andrew White, are headed to a May runoff election. “The party can definitely reap the benefit of an activated voter base but the question is whether they will come back together at the end of it,” Rottinghaus said. The primary runoff election is on May 22, just before the start of the state party convention, leading into the general election on Nov. 6. Find more results from the primaries below. After weighing her options, state Rep. Diana Arévalo (D-San Antonio) conceded Friday without asking for a recount in Tuesday’s primary. Final results coming in after midnight showed less than 1 percent difference between Arévalo and Trey Martinez Fischer, who represented the northwest San Antonio district for 16 years. He left for an unsuccessful bid for state Senate in 2016. Martinez Fischer stayed about 300 votes ahead of Arévalo most of the night, and he was confident he would win. “I’ve always said from the beginning: these voters decide who represents them in Austin, and at least from the looks of things right now I have to feel pretty good about the decisions they’re making thus far,” Martinez Fischer said. Kevin Lopez, campaign manager for Arévalo, said on Election night that she had no plans to make any decisions that night. Lopez confirmed Monday that she conceded. Incumbent Philip Cortez clinched the Democratic nomination for Texas House District 117, claiming nearly 64 percent of the vote over his challenger, Terisha DeDeaux. He hosted a watch party at his home at Liberty Village near JBSA-Lackland. Cortez said one of his main focus areas will be public school funding. "The overall funding is being re-evaluated. The courts recently ruled that it was constitutional. However, we all know, looking at the different schools that there's an imbalance there, an inequality,” he said. “So that's important that we go and get that addressed once and for all. We've been kicking that can down the road for many many years and we need to get that settled already." Cortez will face off against Republican Michael Berlanga, a CPA who previously ran for Bexar tax assessor/collector. He too spoke about public school finance, and said there should be better oversight for how local schools spend tax money. “The state's constitution says we're supposed to fund public education efficiently, but the state has yet to impress upon the school district system some model of efficiency,” Berlanga said. During the 2008 fiscal year, the state covered around 50 percent of the cost of public education, according to the Legislative Budget Board. By the 2019 fiscal year, it will provide closer to 40 percent. If the state's contribution to public education falls short, cash-strapped school districts often look to property tax revenue to make up for it. Leo Pacheco, left, talks to one of his constituents at a campaign watch party Tuesday. Leo Pacheco defeated incumbent Tomas Uresti for the democratic nomination. Supporters and members of the Pacheco campaign gathered at the Mission Flea Market Cafe to watch the votes roll in Tuesday night. Pacheco, who claimed 57 percent of the vote, said he was glad there hadn't been a third person in the race. "I felt that, one on one, I could beat this guy,” he said. “(Uresti) has been around for a long time: Harlandale School Board, been around as a politician. I just felt that I could bring more to the table." If elected as state representative, Pacheco said one of his main priorities will be lowering property taxes for those ages 65 and older. Pacheco will face off against Republican John Lujan in November. The six-way race to replace House Speaker Joe Straus representing district 121 in northeast San Antonio is going to a runoff. Right-wing conservative Matt Beebe will face moderate Republican Steve Allison May 22. “Texans deserve property tax reform and reduction, parents and teachers need to get a better shake from the educational system here in Texas, and we need to make sure that we’re reducing the magnets that draw illegal immigrants here and stop rewarding them when they get here,” said Beebe, who had roughly 30 percent of the votes. Allison earned the second seat in the runoff with about 26 percent of the vote. His views more closely align with Straus. Allison said Wednesday he was looking forward to the runoff election. Republican State Rep. Lyle Larson has thwarted an attempt to unseat him in District 122, located in northeast San Antonio. Larson tussled with Gov. Greg Abbott last session over ethics reform. In response, Abbott endorsed Larson’s primary opponent Chris Fails. Larson said it was unprecedented for the governor to endorse challengers to seated members of his own party. “There’s going to be a lot of mending that’s going to need to take place with the governor’s office and the Texas House. There’s a lot of people upset that he engaged sitting members and used resources against them,” Larson said. However, Larson says he’s willing to work with the governor. He faces Democratic candidate Claire Barnett in the general election in November. In the race for the Democratic nomination for House District 124 incumbent Ina Minjarez surpassed her challenger Sergio Contreras with 78 percent of the vote. She celebrated her victory at a watch party at Viola’s Ventenas. “We are just having a very low-key celebratory night with close friends and very close supporters in the district,” Minjarez said. “My staff and I work very, very hard. Minjarez said that transportation, foster care funding, and public school finance will be priorities going forward. House District 124 is the fastest growing district in San Antonio. She said that the legislature will need to come together to figure out multimodal transportation options and funding schemes to support them. Focusing on the election, Minjarez confirmed that her opponent, Contreras, was closely aligned with Bexar County Democratic Chairman Manuel Medina. Minjarez has been critical of Medina, and she said she’s pleased he lost his re-election race Tuesday night. "Personally I believe he lost his own election after his behavior with the mayoral race. The people of Bexar County San Antonio didn’t forget that. His decision to side with the TEA Party Republicans hurt him. So it was his race to lose, and he definitely lost it tonight,” she said. Contreras could not be reached for comment. Minjarez will face Republican Johnny Arredondo in the November general election. Republican incumbent Will Hurd will face one of three Democratic challengers: Gina Ortiz Jones, Rick Trevino or Judy Canales. Jones will head into a runoff against Trevino. Jones, an Air Force veteran of the Iraq War and Filipina-American, said immigration issues are near the top of her list of priorities. “I think we also need to insure that there is no funding for a border wall,” she said. “Whether you're concerned with what would happen to Big Bend or you're concerned about your land or water rights all along the border, folks want to build bridges, not walls. She also said undocumented immigrants brought to the U.S. as children need to be protected. “We do need to honor the promise we made to 800,000 ‘dreamers’ — 4,000, of which, live in this district alone. As I've talked to leaders, particularly in our border communities this is becoming a public safety issue. Especially as some law enforcement authorities are concerned about crime going unreported. And that's exactly what happens when communities no longer trust the very institutions that are there to keep them safe. 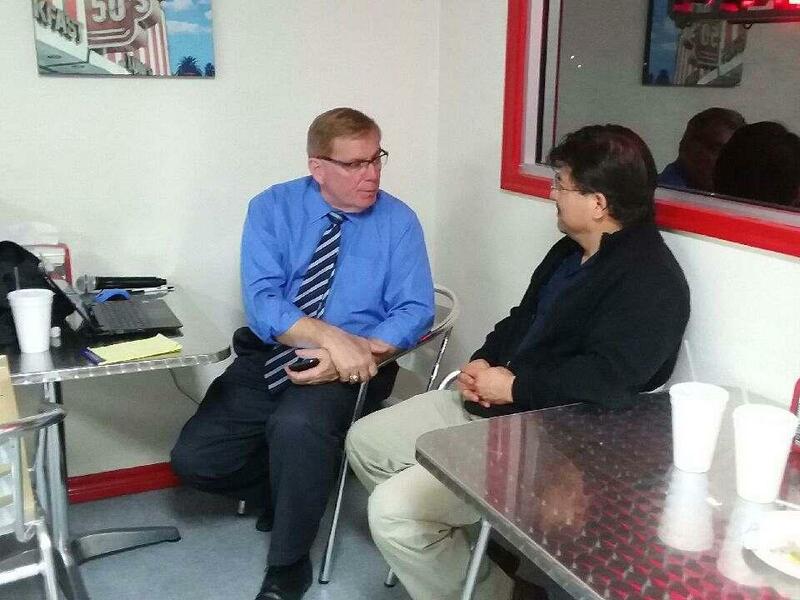 Democrat Joe Gonzales will face Republican Tylden Shaeffer in the November general election. Gonzales defeated incumbent Nico LaHood in the Democratic primary by a 59.11-40.89 percent margin. Paul Elizondo and Queta Rodriguez head to a runoff for the Democratic nomination to face Republican Theresa Connolly. Elizondo received 45.47 percent of the votes to 29.58 percent for Rodriguez. 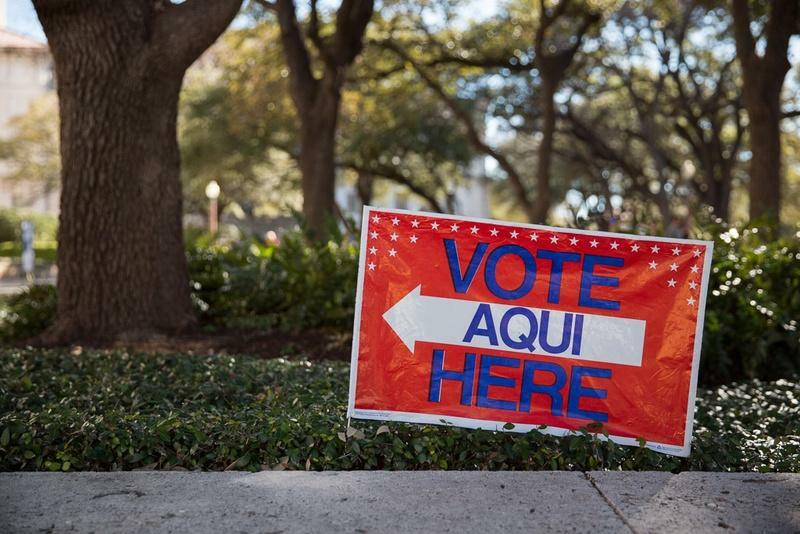 As polls close throughout Texas, turnout has been markedly higher than the last midterm primary in 2014, with the Democrats' early voting numbers up roughly 105 percent.